Roughly 1 acre lot located just off Stevenson Dr. Situated on a corner lot across the street from the 5Flavors Catering and Woodhaven Woodworks. Lake Victoria PUD Zoning allows for “food world” uses, including restaurants. Located in Springfield/Sangamon County Enterprise Zone. 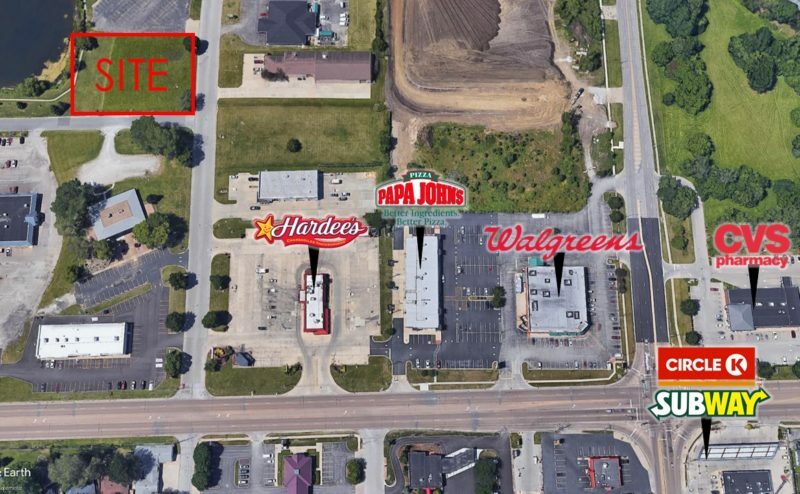 Lot is located in a heavily trafficked retail location in Southeast Springfield. Nearby retailers include: Papa John’s, Walgreens, Circle K, Subway, and CVS.